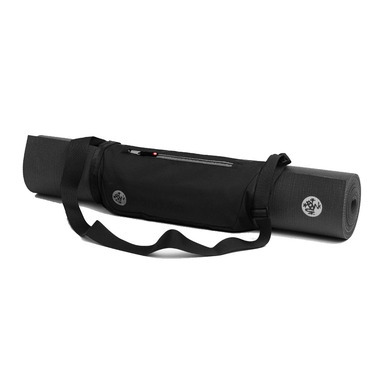 The Manduka GO Play is all the convenience of a lightweight mat sling with the added accessibility of an external storage pocket for your valuables, phone, and personal belongings. 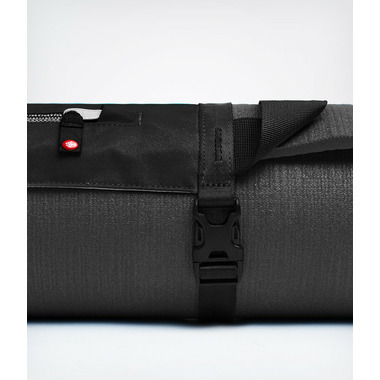 Pro: Enough pocket space for wallet, keys, mobile phone, and small sports towel. Fit any size of mat & light weight. Slick design. Con: While carrying or put on a ground, mat edge would damage or catch a dirt.